Perhaps one of the most noteworthy phrases of Islamic worship, these words ring out every Hajj and Umra. Perhaps one of the most noteworthy phrases of Islamic worship, these words ring out every Hajj and Umra. Known as the “Talbiyah” the above phrase is just part of the invocation that is chanted by pilgrims after entering the state of Ihram on their way to Makka to perform the rites of Hajj or Umra. Labbayka Allāhumma Labbayk. Labbayk Lā Sharīka Laka Labbayk. Inna l-Ḥamda, Wa n-Niʻmata, Laka wal Mulk, Lā Sharīka Lak. The Talbiyah is a prayer of conviction, one that signifies that they intend to perform Hajj or Umra only for the sake of Allah. It is made repeatedly from the time of entering Ihram until the Ka’ba is seen by the one making it. It preoccupies the mind and tongue of the pilgrim from worldly concerns. Commenting on this, scholars stated this shows that praying night prayers after Isha in congregation is prescribed in the Prophet’s Sunnah. During the caliphate of Abu Bakr, people would congregate at different times of the night to pray together in the Prophet’s mosque. During Umar’s caliphate, the number of people increased to the point that there were competing congregations. Seeing this, he made an executive decision to end the competing congregations and organize people behind one Imam, appointing Tamim al-Dari and Ubayy b. K’ab alternate in leading them in prayer. (Bukhari 2010) It was called “Tarawih,” a word that means to relax, because they would pray 2 to 4 units of prayer then rest for a while. 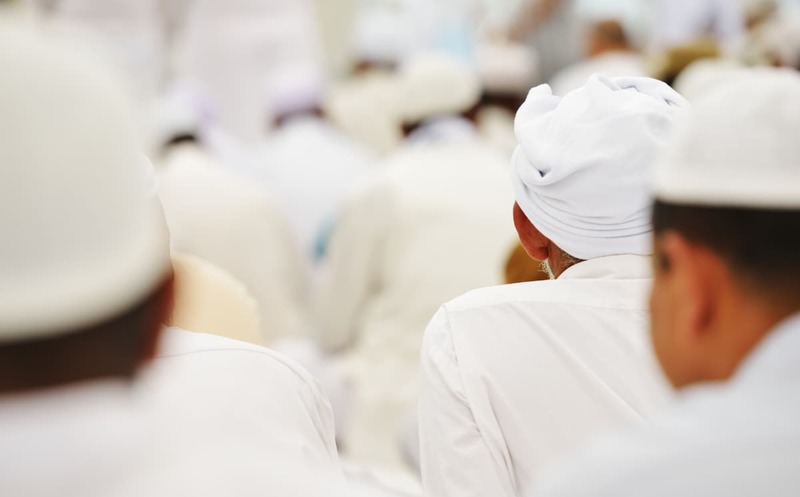 While the Prophet prayed not more than 13 units of optional night prayer in any given night, Aisha said “Don’t ask about how long and how perfect they were.” Understanding that the permission to pray at night was unrestricted and not limited to a specific number, some of the Salaf would pray an unlimited number of units in Ramadan nights. Others, such as Umar b. AbdulAziz and Imam Malik, would pray 36 units. The other three schools of Islamic law recommended 20 units of prayer for Tarawih, basing this off of what Umar organized the people to do during his caliphate. 1. “Labbayk” means “Here I am time and again” to show that the response to Allah’s call to pilgrimage is lasting and ongoing. 2. “Labbayk” means, I submit and submit again, i.e., ongoing submission. 3. It also carries the meaning of persistence, meaning, I persist in obeying You, thus emphasizing the meaning of continuous servitude to Allah. 5. It implies sincerity, as the word “lubb” means core or essence, so when you say “Labbayk” you’re expressing your dedication to Allah’s call from your innermost core. All of these meanings…presence, submission, persistence, love, dedication, and proximity, hearken back to the Talbiya being a symbol of Tawheed, the one saying it seeking to establish in his own heard God’s oneness as established by Ibrahim, and announce this to those around him. Worshiping Allah alone is the spirit and aim of Hajj, as well as all the acts of worship. The Talbiyah is the key to this act of worship that the pilgrim is embarking on. Reflect on this call and the act of repeating Talbiyah loudly as well as its external and internal impact and how it is related to the call of the founder of this great rite, the intimate friend of Allah, Prophet Ibrahim (Abraham) عليه السلام when Allah The Almighty commanded him to call people and proclaim the message. Allah The Almighty promised him that He will convey his call to all people. It means: announce Hajj to mankind and call them to performclass=”alert-info” Hajj to this House which We have commanded you to build. It was said that Ibrahim عليه السلام said, “O Lord, how can I convey this to people when my voice will not reach them?’’ It was said, “Call them and We will convey it.” So Ibrahim u stood up (on his place, or on the Black Stone, or on (the mountain of) As-Safa or on (the mountain of) Abu Qubays and said, “O mankind! Your Lord has established a House so come for pilgrimage to it.’’ It is said that the mountains lowered themselves so that his voice would reach all the corners of the earth, and those who were still in their mothers’ wombs and their fathers’ loins would hear the call. It is the slogan of declaring identity. It also indicates that this rite is universal and brings happiness to all creatures, that all beings respond to it and that the Lord of all creatures and the whole universe blesses this rite.